One pet only is allowed per unit of accommodation (refer to extra charge) TV is not supplied but you can rent a set from our partner Guidon Futé, whose agency is only 100m from the Argeles sur Mer campsite. Caution: We are obliged to refuse admittance to families who arrive with a number of persons exceeding the capacity of the rented accommodation. If you prefer mobile homes, the models offered by the campsite in Argeles-sur-mer Sunêlia Les pins **** are quite pleasant. Modern and practical, they are designed to make your life as easy as possible during your holiday. 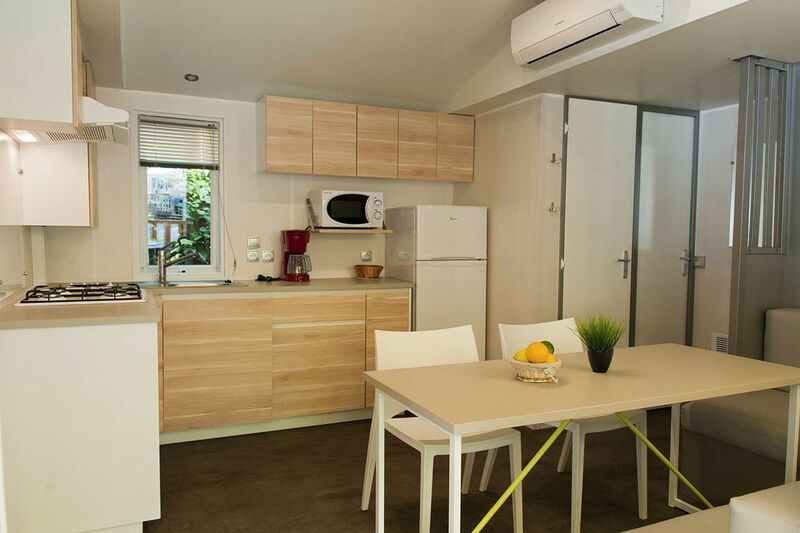 Superbly equipped and having a covered terrace with an outdoor lounge, these mobile homes promise comfort and friendliness, whether you come as a family or a couple. 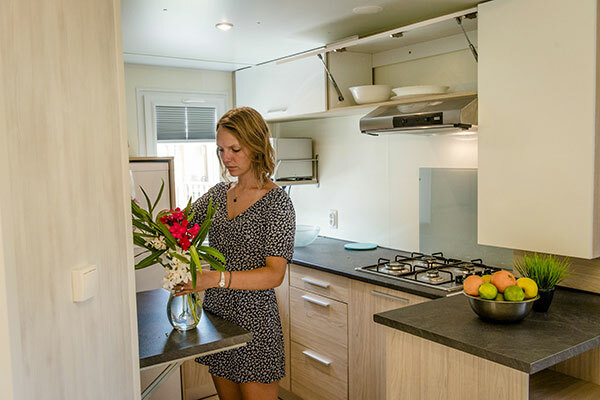 To complete your stay, take advantage of the many services offered, such as the rental of baby kits, barbecues, safes, as well as laundry services and more. Your holidays at this very welcoming luxury campsite will be synonymous with pleasure and relaxation. justo dolor. Sed odio commodo ultricies et, diam consectetur elit.